I met Leon on a boat fair in Gothenburg a few years back and got very inspired by one of his talks about taking the necessary steps to become a blue water sailor. When I got home I couldn’t stop thinking about sailing! 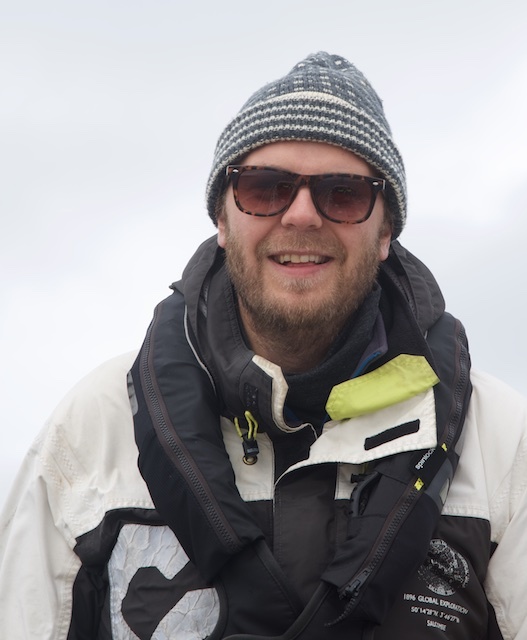 I contacted Leon and asked if I could sail with him and to learn more about sailing. Said and done! My first trip with Regina Sailing was in Scotland where I got in contact with real tidal waters which was a staggering experience. Every morning we did our calculations to make sure to get to the next safe haven and we also encountered the powers of wind-over-tide. 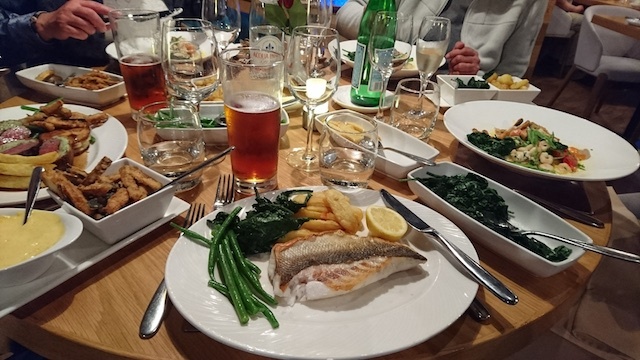 It was a beautiful week in the Highlands with all the great ingredients that the sailing life style includes, exploring new locations, restaurants and to find out what’s in the horizon. 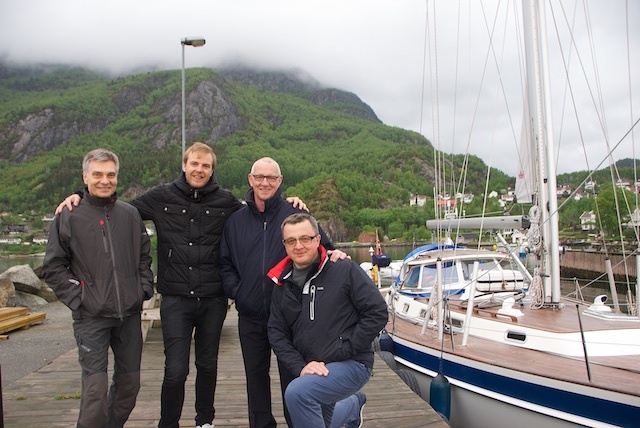 Christoff (second from left) during his second trip onboard Regina Laska sailing from Stavanger to Shetlands. Our second trip together was over the North Sea, from Stavanger to the Shetlands. This was an overnight leg that was supposed to take us 20-24 hours. The wind and conditions were perfect and we made so good speed that it only took us 16. An unforgettable experience. 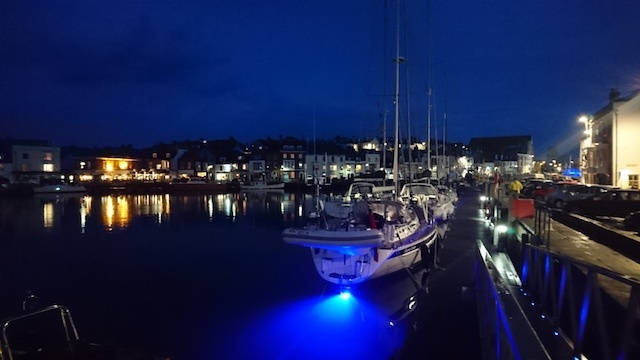 This year I got the opportunity to sail from Lymington across the English Channel to the Channel Islands. South of England is very beautiful and has some of the most challenging tidal waters on earth. Therefor this was the perfect leg for me, amazing sceneries, combined with the best teacher, nice crew, good restaurants and a bit challenging waters. 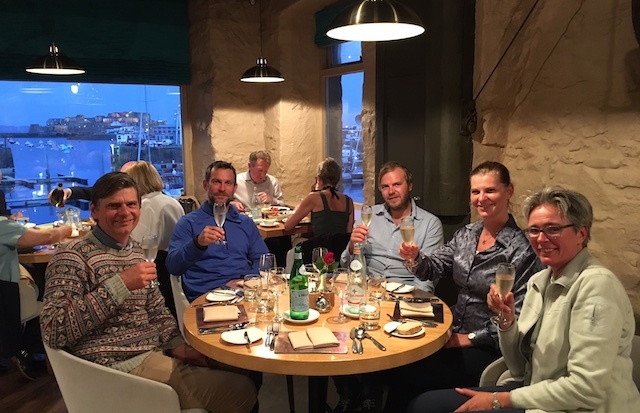 Enjoying one of the many upscale restaurants we visited; here the famous “Le Nautique” in Saint Peter Port, Guernsey. 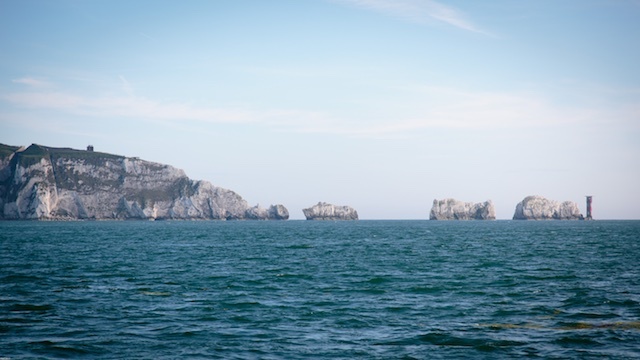 I’m also so glad to have sailed through the famous Needles just outside of The Solent. To the right in the narrow passage a wave (few hundred meter long) was standing still and to our left we had a green hill with a lighthouse. This mix of scenery and elements was so thrilling that I will have to go back to the Solent, hopefully with my own sailing vessel. I’ve learned so many important skills when sailing with Leon and for every time I sail with him I get even more confident. I feel that I’m becoming a better sailor. 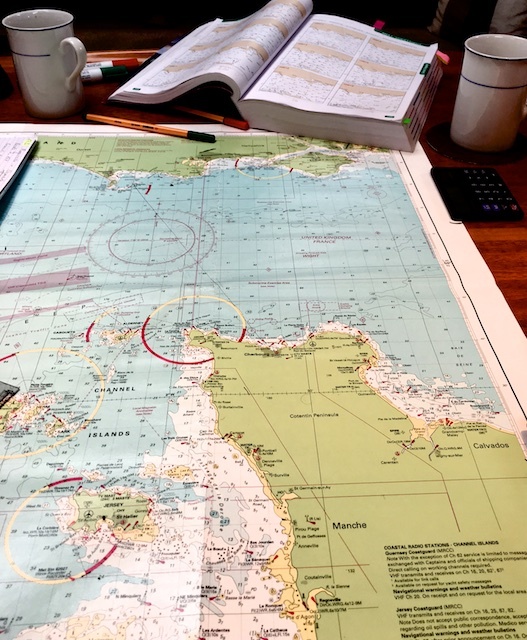 Planning our crossing the English Channel from The Solent, UK, to the Channel Islands and France. 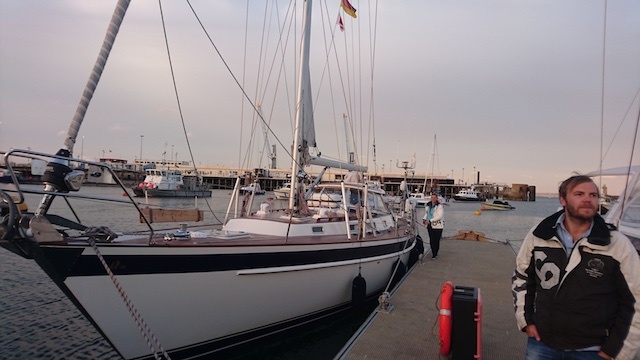 Not just sailing but berthing, using the right sailing ropes and to make a plan before you go. My next dream is to become as good as Leon is! He teaches with involvement, humour and confidence. I give my highest recommendations to Leon and Regina Sailing. Further to every thinkable piece of safety equipment you can find on the market, Regina Laska is also hiding comfort, a sauna and a great chef. 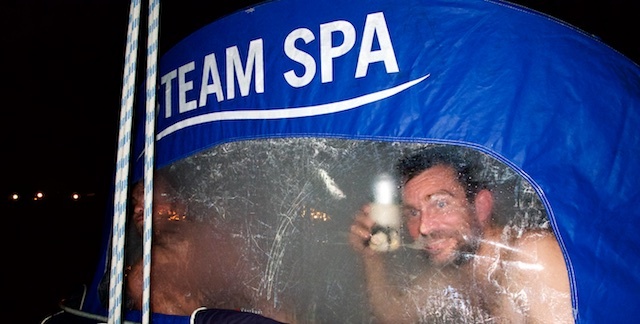 Me and Denny in the sauna after a cold day in the English Channel. It feels so good! 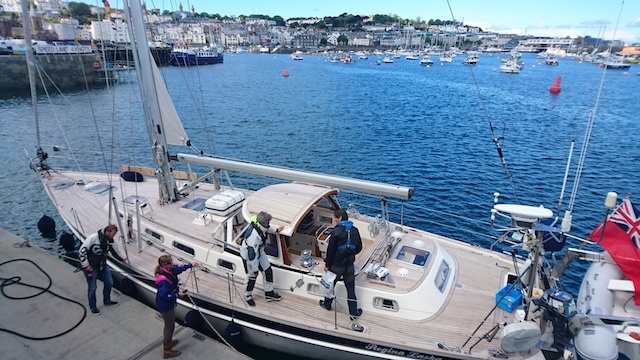 Are you thinking of taking the next step to becoming a better sailor – look no further, go sailing with Leon! Regina Laska in Weymouth, UK. 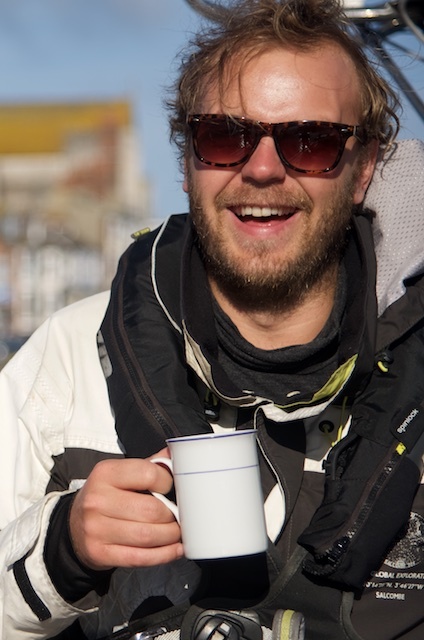 Christoffer Iveslätt, Sweden, sailed Leg 3-2017 from Lymington, The Solent to the Channel Islands and back.